Hi to all web surfers. I was born in Naples on 26th February 1952. 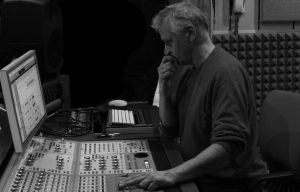 After getting an Engineering Degree in1978, I specialized in sound engineering in U.S.A. in 1984 and at Recording Workshop of Chillicothe (Ohio). I’ve been Polosud director and “Il Parco” recording studio chief engineer since 1981. I also worked as free lance and as live technician and live in studio (Blue Angel, DOC, etc.). I played guitar and kayboard in many Neapoletan rock bands in eighties (Walhalla, Caran D’Ache). I founded Polosud in 1993, as a natural consequence of the counselling and supporting work made for the artists at the recording studio “Il Parco”.